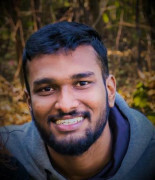 Want to get in contact with ajesh? I AM SPORTSMAN BY HOBBY AND A BANKER BY PASSION. I BELIEVE IN A BALANCE OF LIFE BETWEEN EDUCATION AND SPORTS.